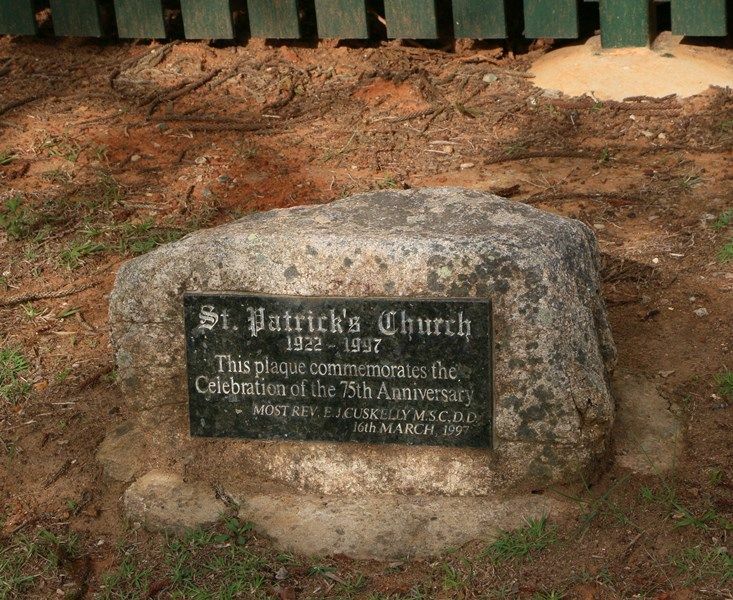 A plaque commemorates the 75th anniversary of St. Patrick`s Church which was opened and blessed by the Right Reverend Dr. J. Heavey, Bishop of Cooktown in 1922. Most Rev. E. J. Cuskelly M.S.C., D.D.